The Search for Extraterrestrial Intelligence (SETI) institute announced Monday that it considers a radio signal detected by Russian astronomers a potential sign of intelligent inhabitants in a star system 94 light-years away. “There are many other plausible explanations for this claimed transmission—including terrestrial interference. Without a confirmation of this signal, we can only say that it’s ‘interesting,'” wrote Seth Shostak, a senior astronomer for SETI, in a technical analysis. Nonetheless, Shostak considered the possibility of intelligent extraterrestrial origin. Analyzing the strength of the signal, he said it would have to have been sent by a civilization capable of generating at least a trillion watts in one shot. That’s comparable to the total energy consumption of humankind. The signal seems to be coming from the star system HD 164595, which centers on a star of comparable size and brightness to our sun. It is known to have a Neptune-sized planet, though its tight orbit makes it unlikely to host life. But, Shostak noted, more habitable planets may yet be found in HD 164595. The signal seems to be coming from the star system HD 164595, which centers on a star of comparable size and brightness to our sun. The signal was picked up by the RATAN-600 radio telescope in Zelenchukskaya, at the northern foot of the Caucasus Mountains. 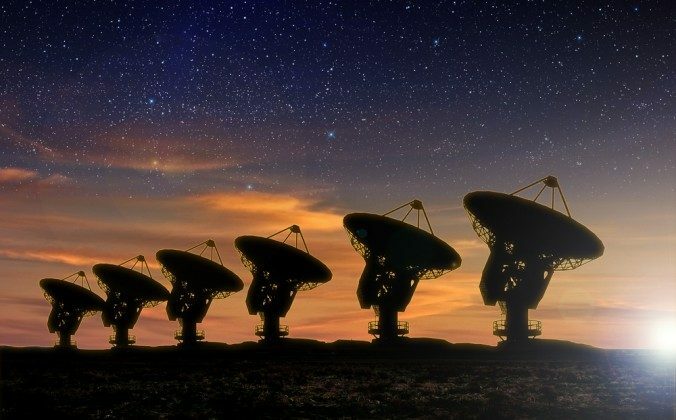 SETI will continue to monitor the star system with its Allen Telescope Array to see if there is any repeat of the signal. It lasted longer than so-called “fast radio bursts” (FRBs), which last mere milliseconds. A total of 17 FRBs have been detected in the past eight years, though their origin also remains unknown. A study published in the journal Nature in March by an international team of scientists revealed that FRBs are more mysterious than previously thought. Previously, the bursts had been detected as single, non-repeating events coming from outside our galaxy. This led to the hypothesis that they originate in cataclysmic events, such as the collision of neutron stars, which would send shock-waves through space.